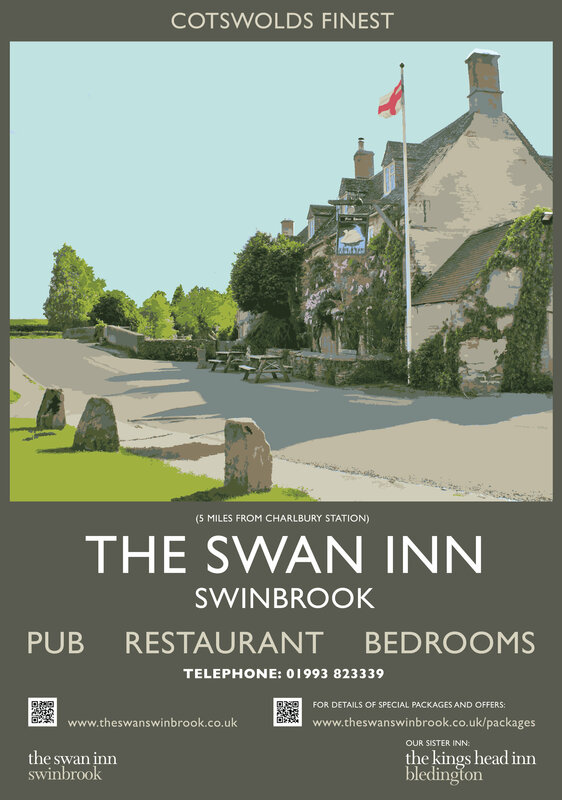 We recently commissioned this wonderful poster to reflect the charm and character of The Swan Inn, Swinbrook and surrounding area of The Cotswolds. Produced locally in the flat ink style of the 1950s we think it perfectly projects the romantic values of the past whilst bringing us up to date with information such as QR codes linking to our website. We’re only just over an hour from London via direct link from Paddington. 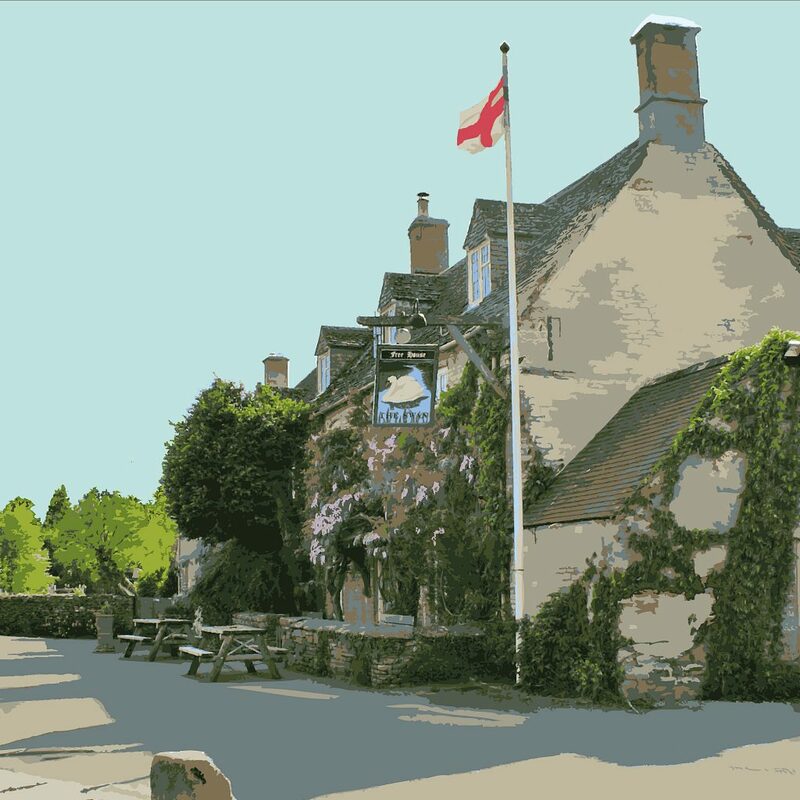 If you’re travelling the short journey to either stay or dine with us a version of the poster can be found in all it’s glory at our nearest railway station Charlbury. We were so thrilled with the comments and feedback we thought it only proper for the The King’s Head Inn to have their own version. The first version of which can be found at Kingham Station again only just over an hour from London via direct link from Paddington.